I ran into this William Kent Krueger title while updating my Amazon Wish List (click the link if you really want to get me anything, you can maybe write it off as a donation if you know enough legal loopholes). 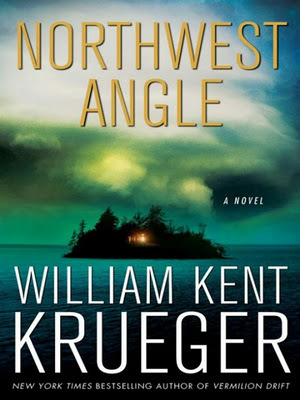 Powerful forces intent on securing the child pursue them to the isolated Northwest Angle, where it’s impossible to tell who among the residents is in league with the devil. Yikes – I’m not sure I’d want that kinda ignominy – fiction or not – following me around. That said, I’m sure Northern Minnesotans are used to the characterizations made by Krueger (I’ll have to ask my girlfriend), who bases all his books on locales in the area. If anyone wants to grab me a copy, feel free. Surprisingly enough, this isn’t the first murder mystery set against the backdrop of this geo-oddity. Tim O’Brien’s 1994 novel, “In the Lake of the Woods” , also dealt with similar themes. Anyone up for a murder mystery set in the Kentucky Bend?